The henna bug has bit again! I haven't used henna in over 3 years, but for the past few months, I really want to try it again. While I'm pretty indifferent to the reddish tint, it did make my hair stronger, and with high porosity ends, I really need the extra support. Henna works by bonding to the keratin in the hair and adding, what I call, a "protective layer" around the hair shaft. This helps to strengthen hair, reducing breakage and split ends. Of course, henna isn't just great for strengthening hair, it can be used to achieve a variety of results. 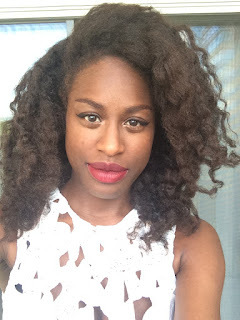 Retain Length: By strengthening hair, henna is able to help reduce breakage, which in turn can help retain length. If you have a good regimen, but still see a lot of breakage and not a lot of hair growth, henna may be able to help you reach your length goals. "Fix" High Porosity Hair: Because of the raised cuticles, it makes it difficult for those with high porosity hair to keep it moisturized. Henna works by attaching to the keratin in the cuticles, "closing off" these raised spaces, which helps hair stay moisturized longer. Thicken Hair: If you have thinner hair, henna may be perfect for you. Because of henna's ability to attach to hair, acting as an "extra layer of cuticles," it can make hair appear thicker and fuller. 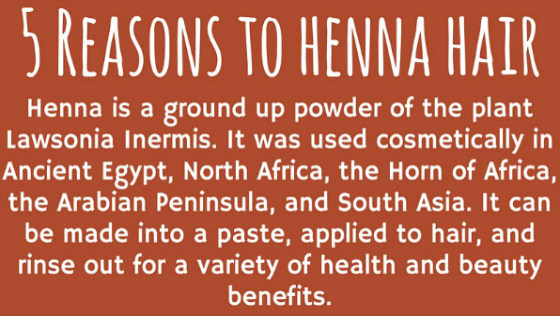 * It's important to note that while henna is natural, that doesn't automatically equate to safer. Always do a patch test to make sure you don't have any kind of allergic or negative reaction. Thanks for this great post. I have not tried henna yet as I was afraid to react allergic to it. But now, I am considering to give it a try after reading all the benefits of henna. I did a patch test the first time I tried it. Henna'd a small section on the back of my head, then wait a couple days to see if I have a reaction. Also, make sure you read the ingredients and it just says "lawsonia inermis" which is the botanical name.